Hamden American Legion pitcher Anthony Sitro delivers against East Haven on Thursday. EAST HAVEN — Since 2005, Hamden hasn’t been able to win the Zone 2 title once. In fact, the best finish that Post 88 has been able to muster was in 2016 when it tied for second place. Now, Hamden (15-2) has a very good chance to better that and win the zone. Post 88 won its third straight game Thursday night with a 10-0 whitewashing of East Haven in five innings at East Haven High School. Hamden now leads North Haven by two games and Branford by 31/2 games in the zone standings. Hamden has one game left with East Haven and three with Branford. Mike Ferrett did the most damage for Hamden. He belted a three-run homer off East Haven starter Freddy Mascola in the first inning and a two-run homer off Post 89 reliever Jake Ferrara in the fifth inning. After taking the 3-0 lead in the first, Hamden scored three more in the third on run-scoring singles by Stephen Richetelli, Mike Aceto and Nick DeBrizzi. An RBI double by Richetelli in the fourth made it 7-0. Besides Ferrett’s two-run blast over the left field fence, Henry Bielen singled in a run in the fifth inning as Post 88 was able to end the game via the 10-run mercy rule after five innings. 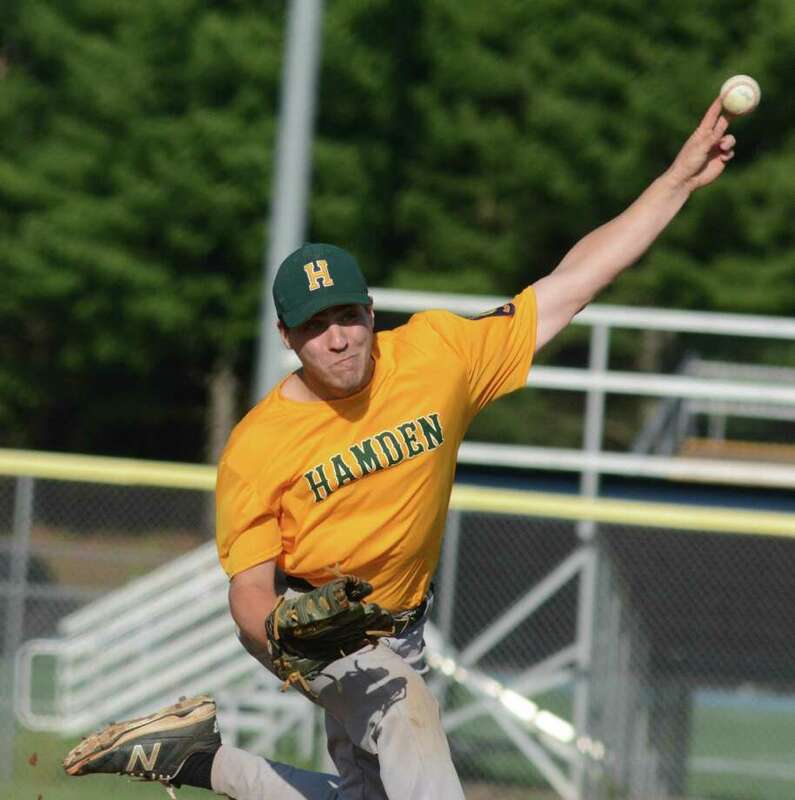 Meanwhile, Anthony Sitro and Frank Niro combined for a two-hitter on the mound for Hamden. Mark Smith and Tristan Punzo had the only hits for Post 89, which fell to 5-11 with the loss. Anthony Sitro, Frank Niro (4) and Stephen Richetelli. Freddy Mascola, Jake Ferrara (4) and Anthony Buffone. 2B: H — Matt Wentland, RIchetelli. HR: H — Mike Ferrett 2. RBI: Ferrett 5, Richetelli 2, Henry Bielen, Nick DeBrizzi, Mike Aceto. Winning pitcher: Sitro. Losing pitcher: Mascola. Records: Hamden, 15-2. East Haven, 5-11.